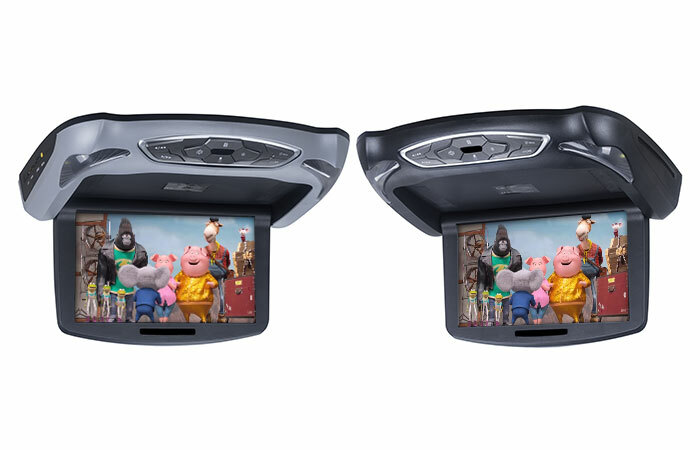 10.1 inch Car roof mount DVD player providing convenience and entertainment to the whole family and friends. 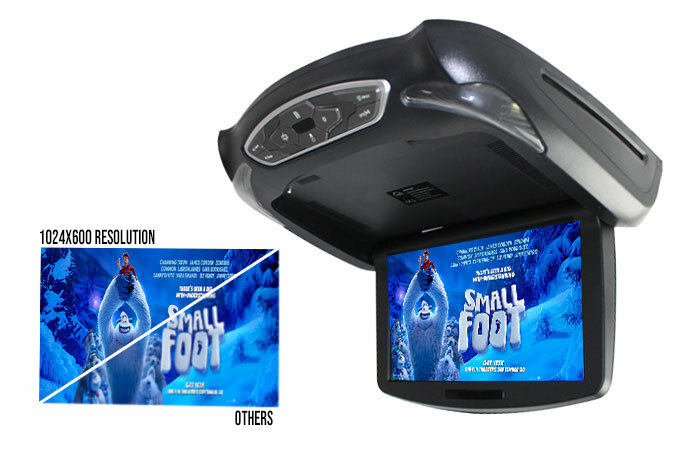 This 10.1" Crystal TFT LCD Roof Mount DVD player can play more video formats like DVD/AVI/DIVX/MPG/MPEG/DAT/FLV/RMVB/VOB/MP4/MOV etc. 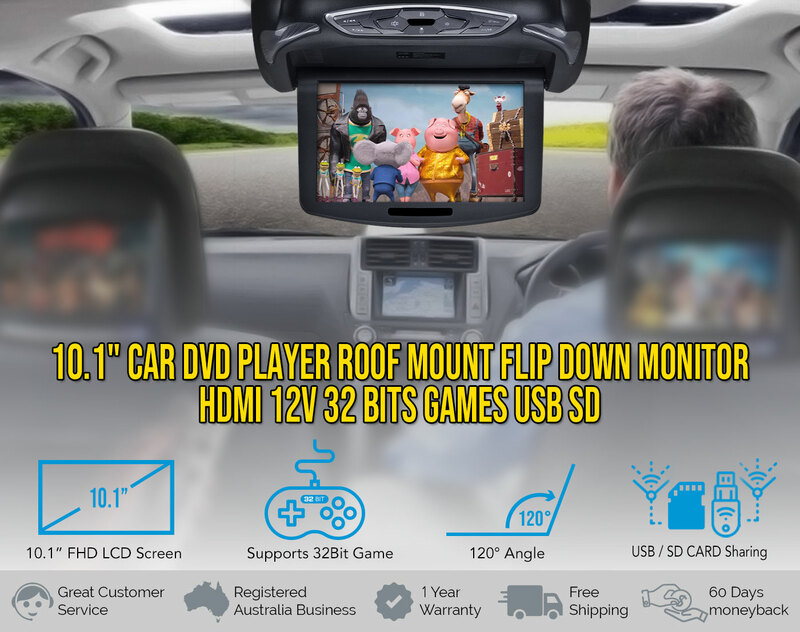 This car DVD player allows you to play games, watch movies and listen to your favourite music. 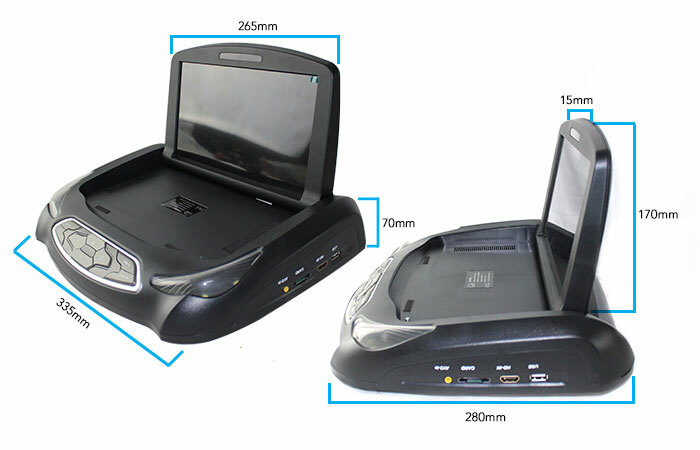 It has Built-in DVD player, Built-in SD/USB port, HDMI input, Built-in Twins Interior LED lights, Built-in FM transmitter, Built-in IR transmitter and a lot more. You can have more fun and excitement while on the road. You won't even notice the long hours of travel as everyone will surely enjoy the trip. 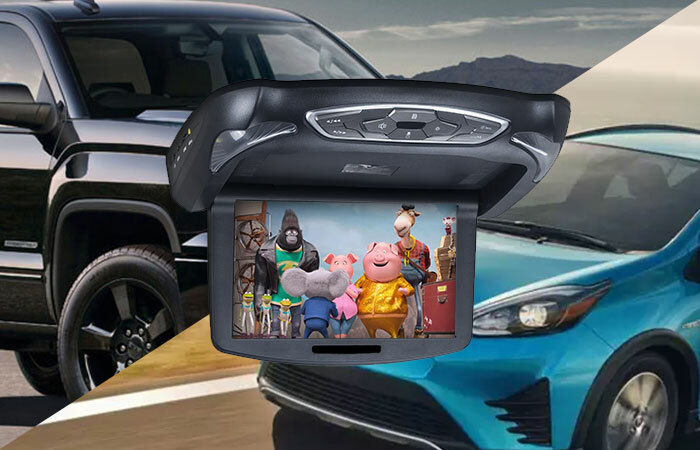 Compact 10.1 inch flip down LCD roof-mounted monitor. Supports high resolution 1024 x 600 for vibrant and crystal-clear graphics. 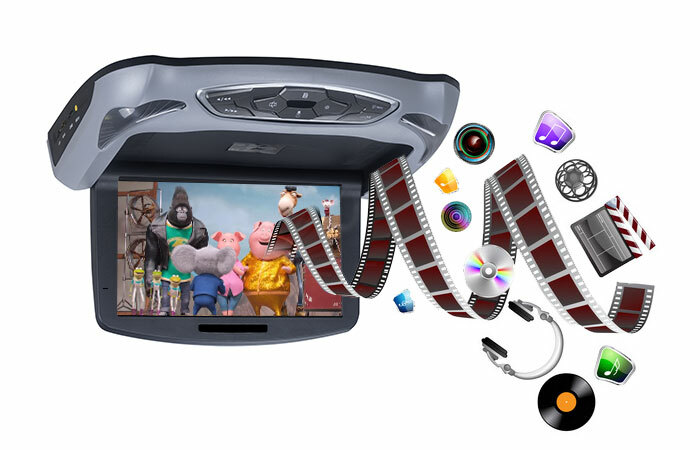 The slot loading DVD drives have an appealing look which makes the DVD player more sophisticated and elegant and with anti-skip mechanism. 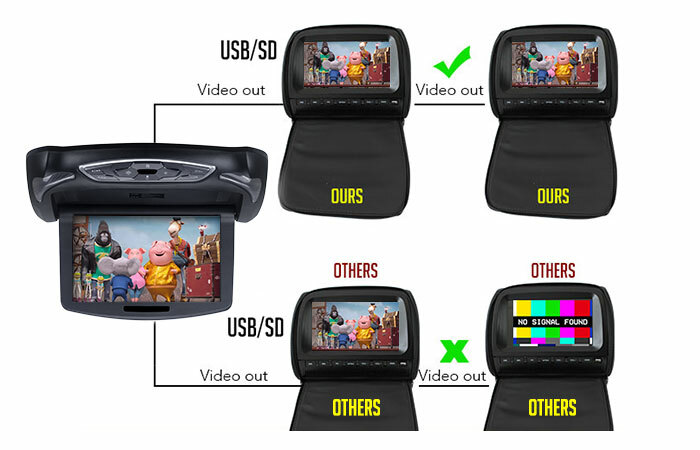 The USB/SD will allow you to store media on a standard memory card, and play it back through this monitor. 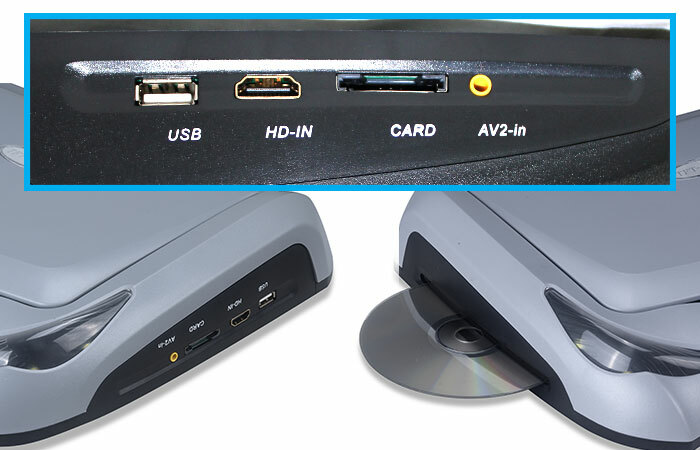 You can play back audio or video files stored on the USB/SD through this monitor. 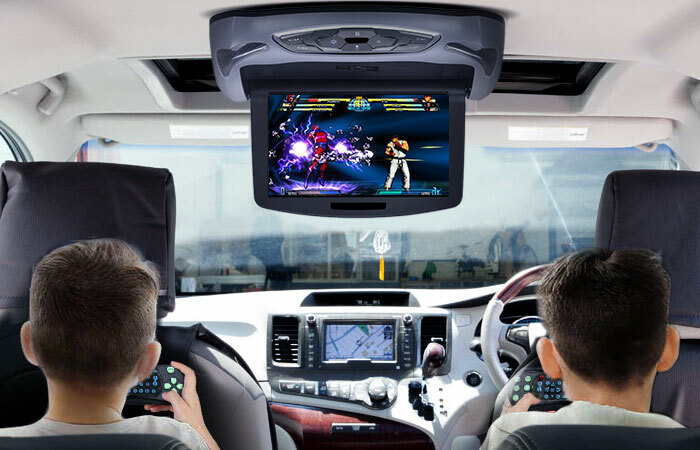 Keep everyone entertained during long road trips. Built-in LED dome light replaces the vehicle's dome light when installed. Turns on when opening the door. Provides light at night. 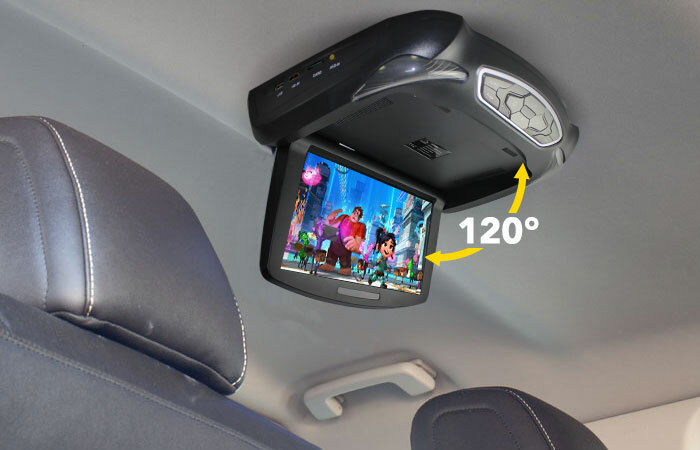 Perfectly fit for SUVs, MPVs, Vans, and most vehicles. Choose from: Play sound through the flip down DVD's speakers. 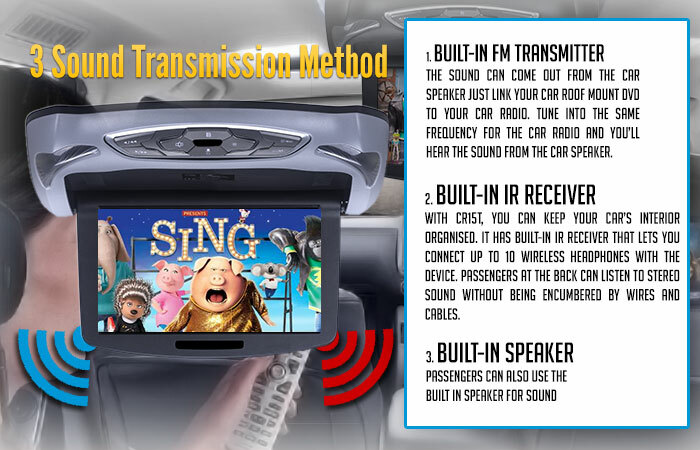 Or through your vehicle's sound system via the integrated FM transmitter. 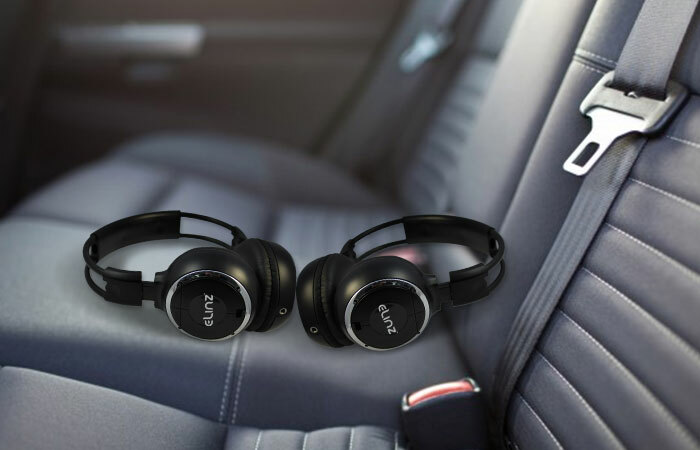 Or conveniently through the IR wireless headphones via the built-in IR function.